Nine Smithsonian scholars are included in Clarivate Analytic’s 2018 Highly Cited Researchers list, an annual list of influential researchers across 21 fields. These Smithsonian scholars join some 4000 researchers from other institutions who appear in the top 1% of scholars in their respective disciplines, based on citations to their publications dating between 2006 and 2016. 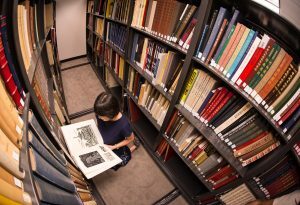 The Smithsonian Libraries tracks the research output of the Smithsonian Institution and makes it publicly available through Smithsonian Research Online and the newly launched Smithsonian Profiles. During the holiday season, many will be spending time with family and friends, and most likely it will be over food. As the title of this trade catalog suggests, the kitchen is an important part of any home. Imagine preparing meals on kitchen appliances such as these! Reiko Yoshimura in the Freer Gallery of Art and Arthur M. Sackler Gallery Library. When I was in library school, one concept I remember being covered was the subject-based query versus the known-item query. These were used to represent two basic but very different types of library usage and required of librarians different search and related skills. The Smithsonian Libraries presents a new exhibition, “Magnificent Obsessions: Why We Collect,” at the Smithsonian’s National Museum of American History beginning Nov. 7. “Magnificent Obsessions” will be on display through July 1, 2020. 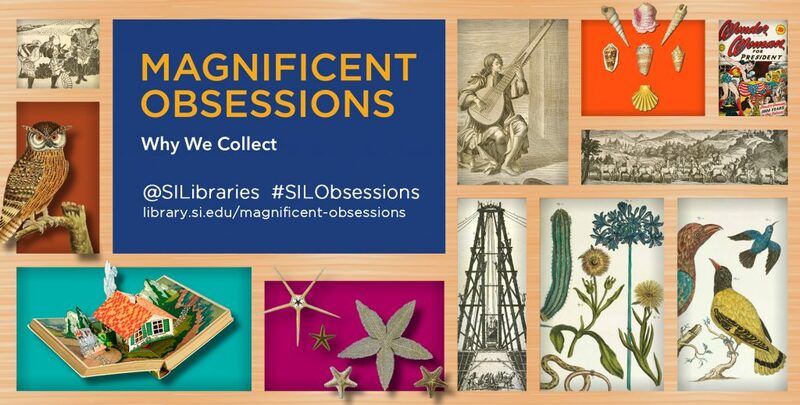 “Magnificent Obsessions” tells the captivating stories of the book collectors whose diverse interests and passions helped shape—and continue to contribute to—the Smithsonian Libraries. Through rare books, manuscripts and other intriguing items from across the varied Libraries of the Smithsonian, the exhibition highlights the personal motivations and enduring impact of book collectors who were compelled to share their “magnificent obsessions” with the nation.